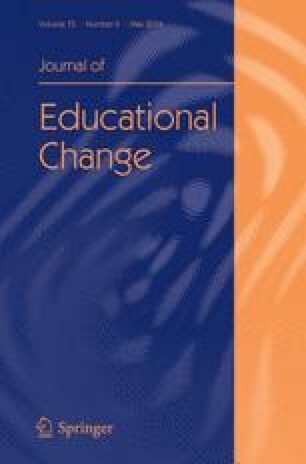 This study investigates whether educators’ cognitive and structural social capital is associated with perceptions of innovative climate in charter schools. We explore a new concept to assess educators’ cognitive social capital, namely network intentionality, meaning the extent to which an educator is intentional in connecting and interacting with others. We hypothesize that network intentionality (cognitive social capital) is related to the extent to which educators perceive their school’s climate to be innovative, but that this relationship is dependent on the educator’s position in their school’s social network (structural social capital). Findings suggest that the relationship between cognitive social capital and perceptions of innovative climate is partly mediated by structural social capital. In other words, those educators with high network intentionality, as evidenced by an orientation towards connecting others, also perceive the school’s climate as being more innovative, partly because this strong network intentionality is associated with more out-going relational activity. This work provides unique insights into the factors that may be associated with teacher collaboration in successful charter schools serving traditionally underserved populations, and suggests ideas for schools wishing to support teacher collaboration and innovation. Cornelissen, F., Daly, A. J., Liou, Y., Swet, J. van, Beijaard, D., & Bergen, T.C.M. (2013a). More than a master: Developing, sharing and using knowledge in school-university research networks. Cambridge Journal of Education. doi: 10.1080/0305764X.2013.855170. Daly, A. J., Finnigan, K., Jordan, S., Moolenaar, N. M. & Che, J. (2014). Misalignment and perverse incentives: Examining the politics of district leaders as brokers in the use of research evidence. Educational Policy. doi: 10.1177/0895904813513149. Woodworth, J. L., & Raymond, M. E. (2013). Charter school growth and replication (Vol. II). Center for Research on Education Outcomes. Stanford, CA: Stanford University. http://credo.stanford.edu/pdfs/CGAR%20Growth%20Volume%20II.pdf.